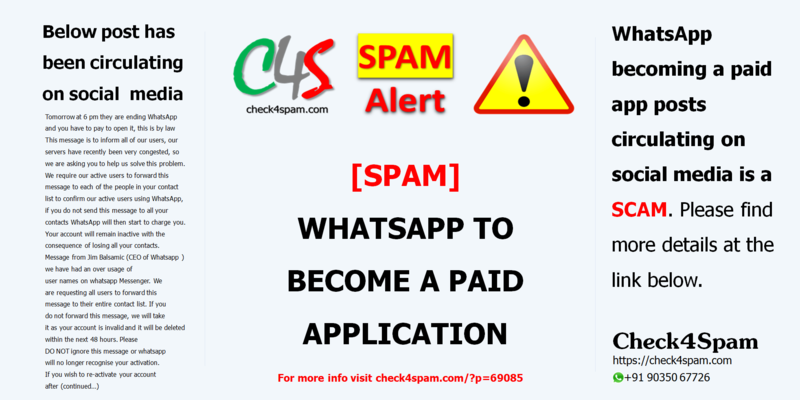 WhatsApp becoming a paid app posts circulating on social media is a SCAM. Please find more details at the link below. This is the last message from Whatsapp™. Kindly send this to 20 people to register urself in Free-Whatsapp mode. If you send this, you will recieve green ticks. The blue ticks was just an update. Wait for the GREEN tick. Facebook and whatsapp combined is the new version©.Send this ASAP. It works mine is green.